Ainvo Registry Defrag will make Windows faster due to registry defragmentation. AppRemover - Uninstall and remove antivirus security applications. Chameleon Task Manager is a replacement for Windows Task Manager. AppCleaner for Mac allows you to thoroughly uninstall unwanted apps on Mac OS X.
CSMenu is a freeware program that returns the classic start menu to Windows 7. Vigleo connects real time with personal social video sharing websites account . Zipfocus is a small zip reader suitable for general use or restoration backups. 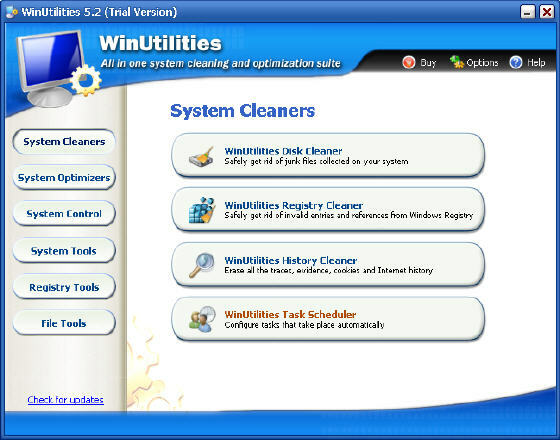 Free Error Cleaner - Cleaning and Repairing Registry made Free.